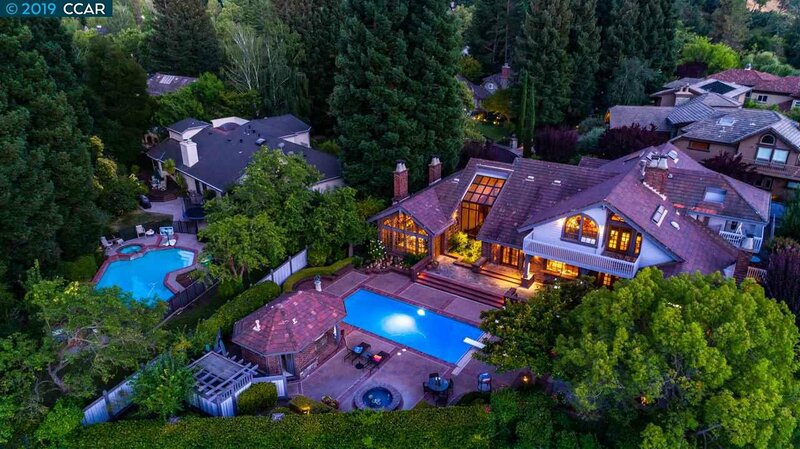 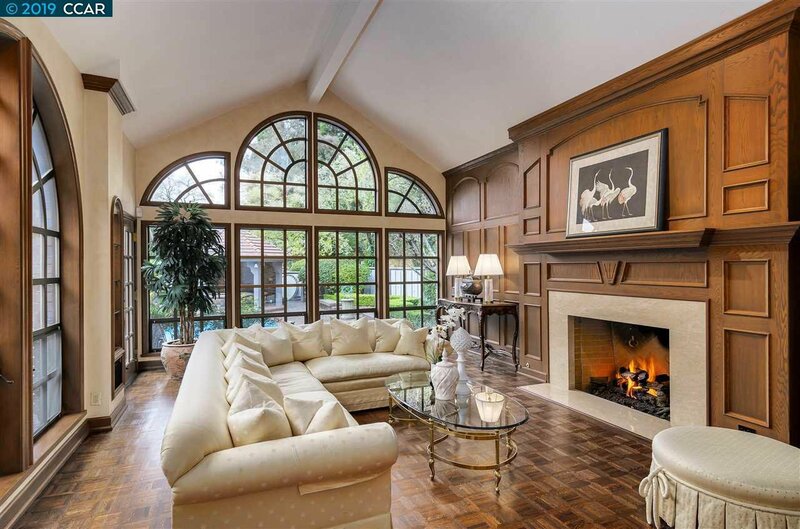 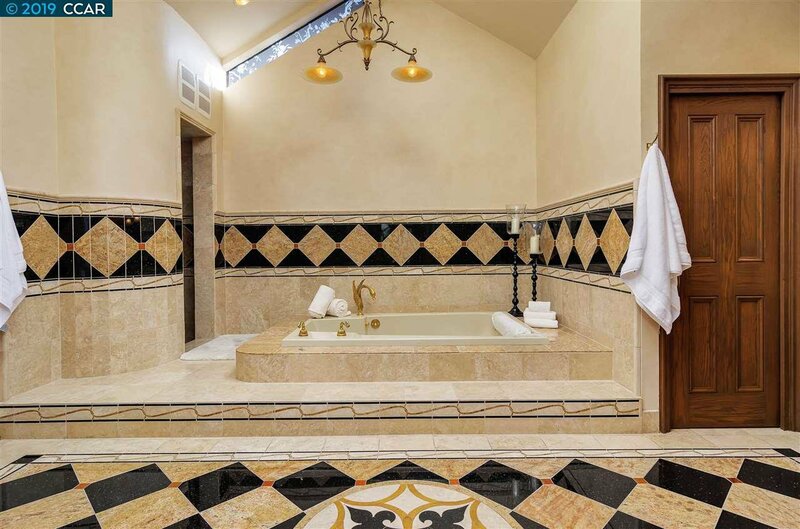 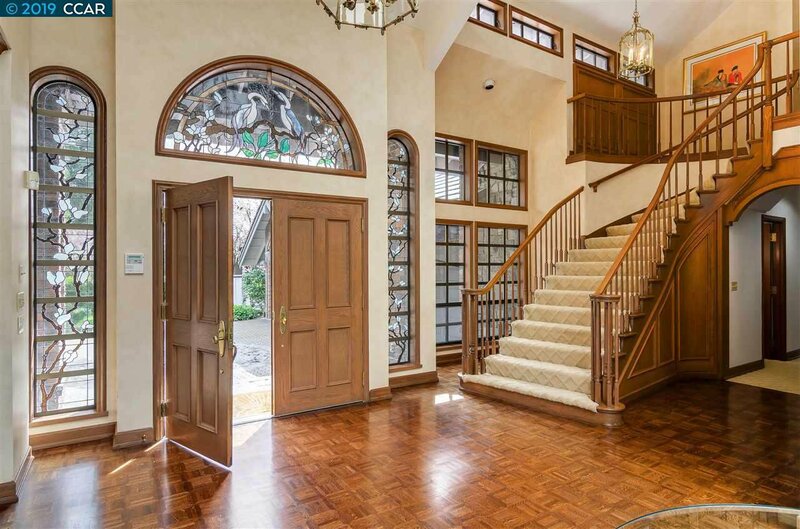 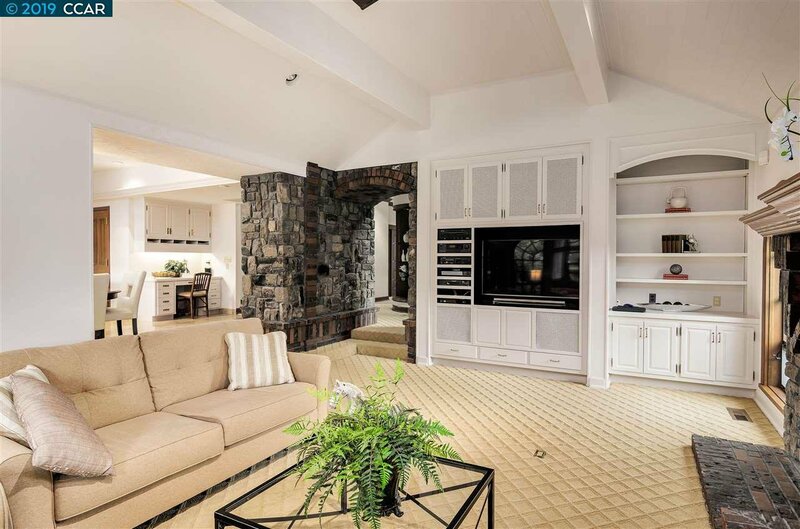 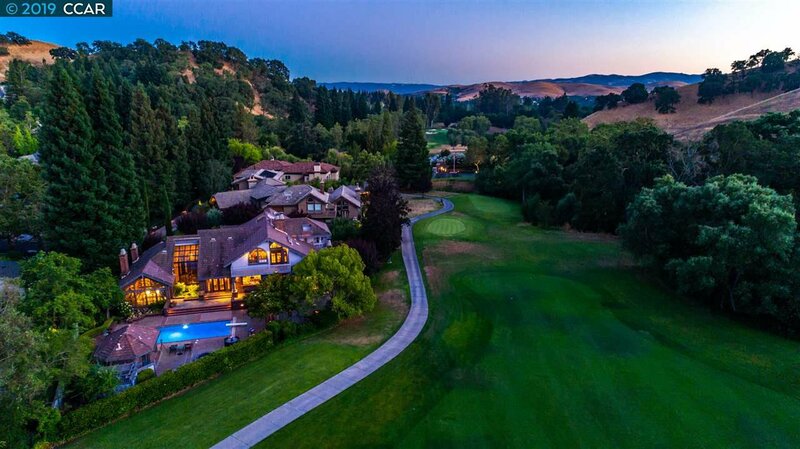 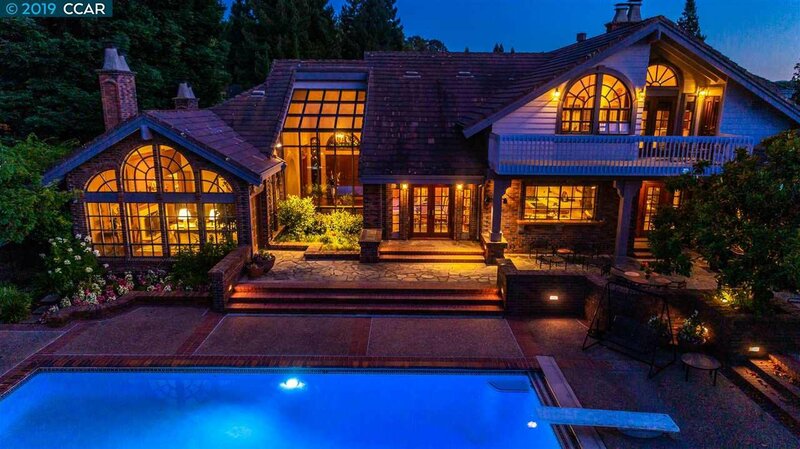 Exceptional Randolph Finn designed Blackhawk Country Club gated estate borders the Lakeside Golf Course with Mt. 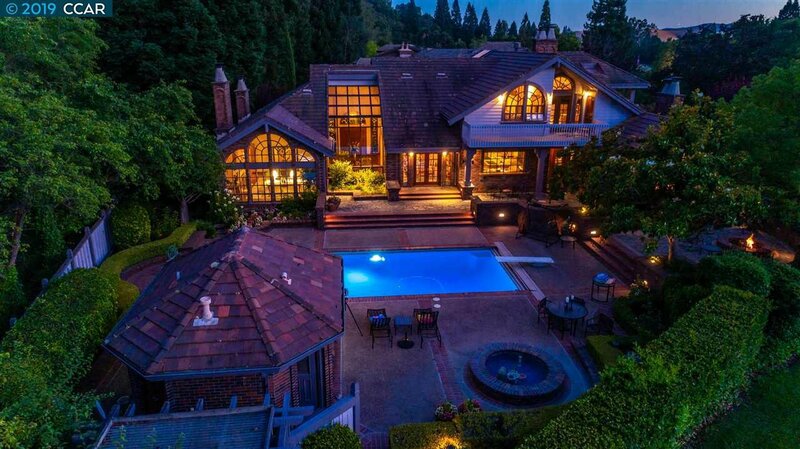 Diablo views. 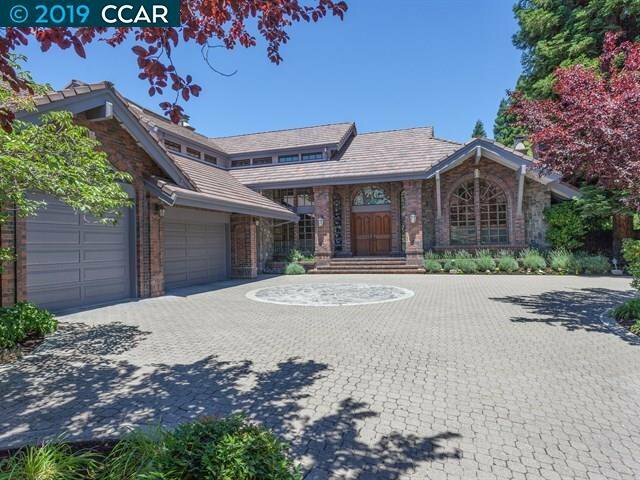 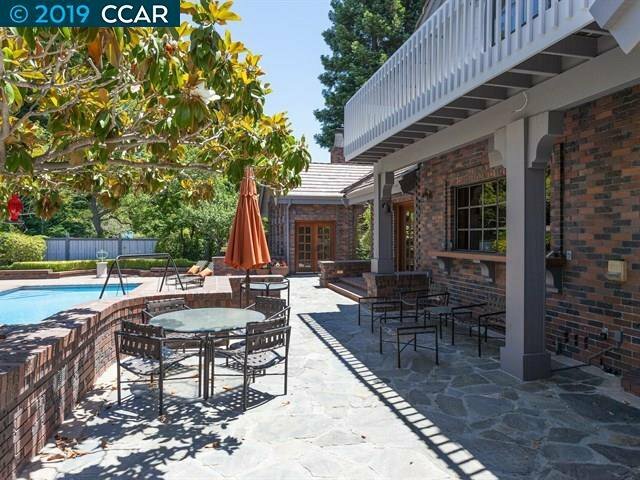 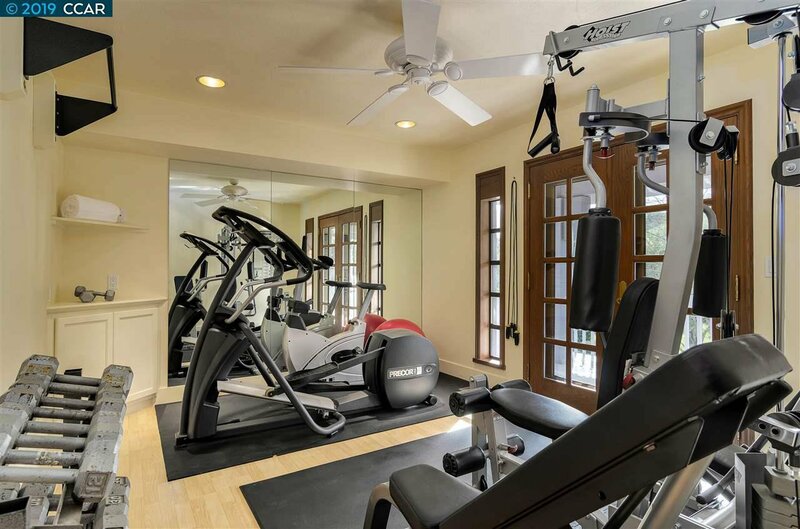 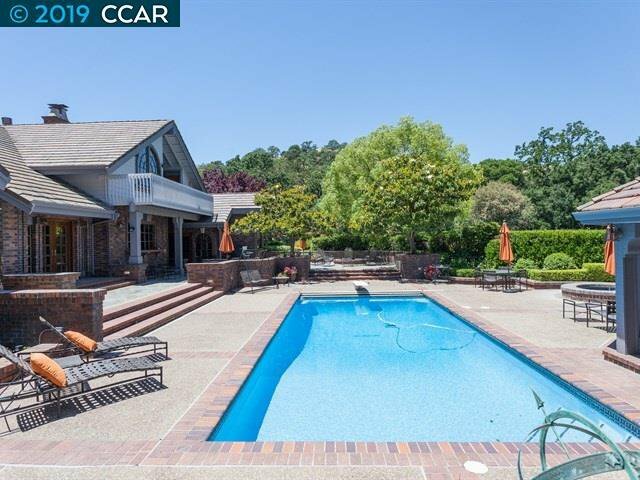 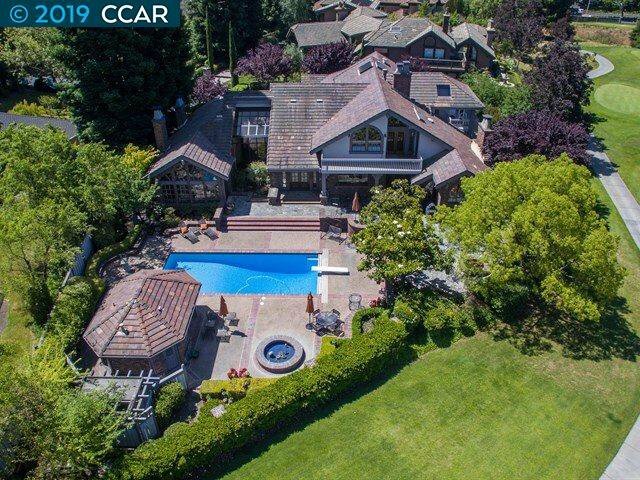 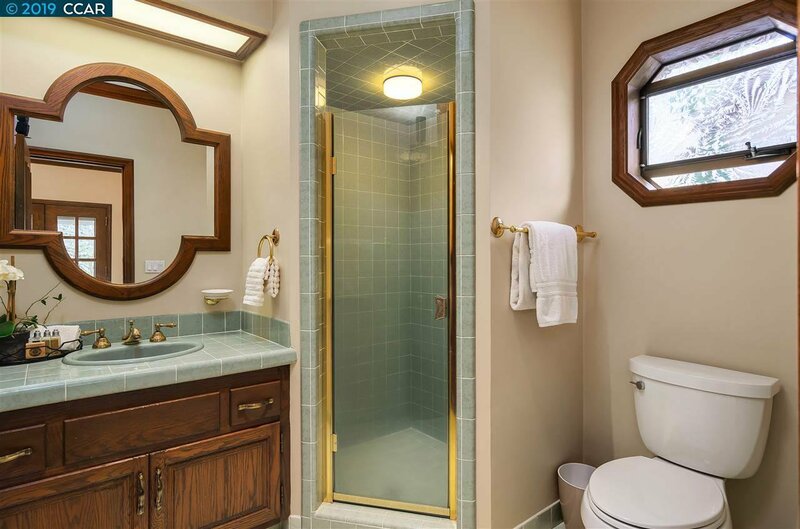 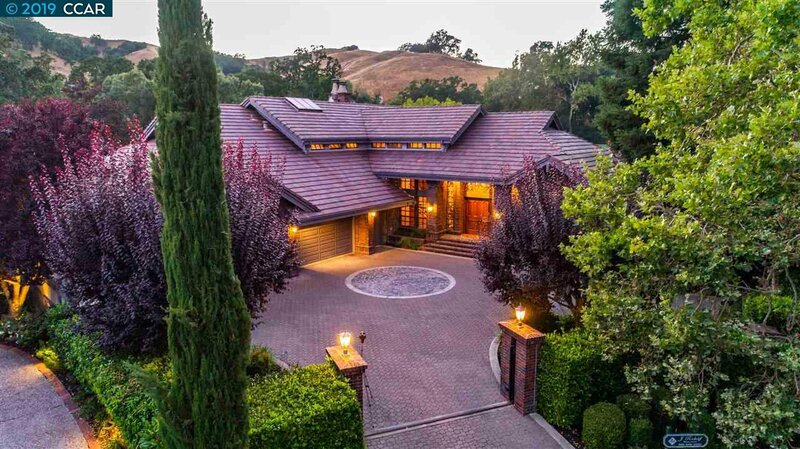 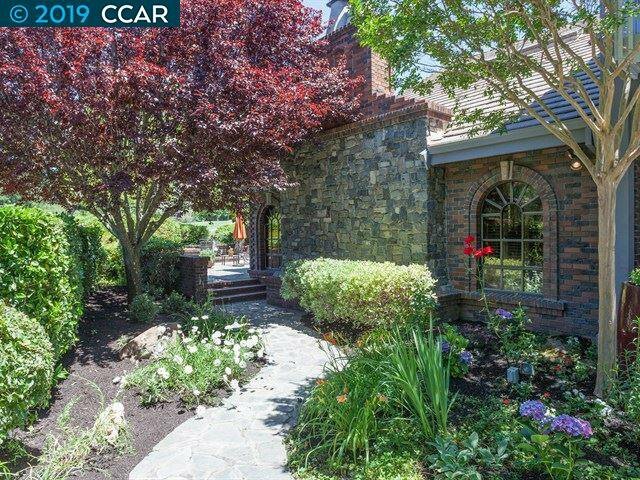 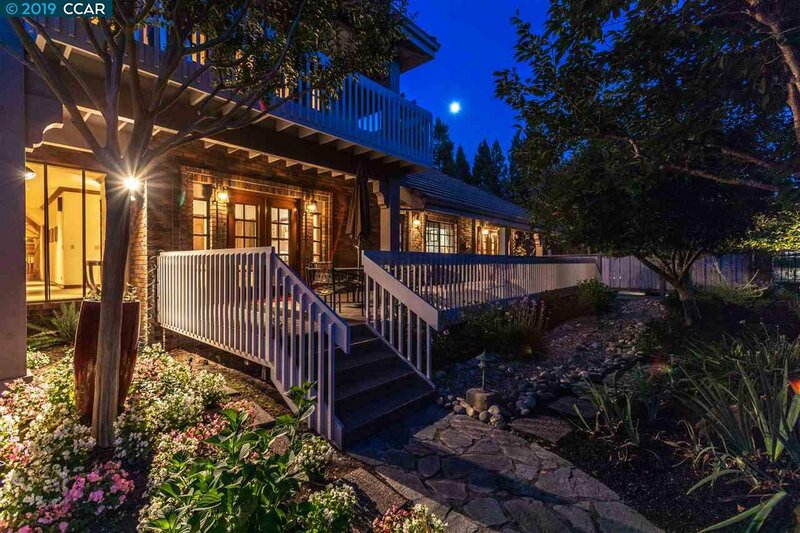 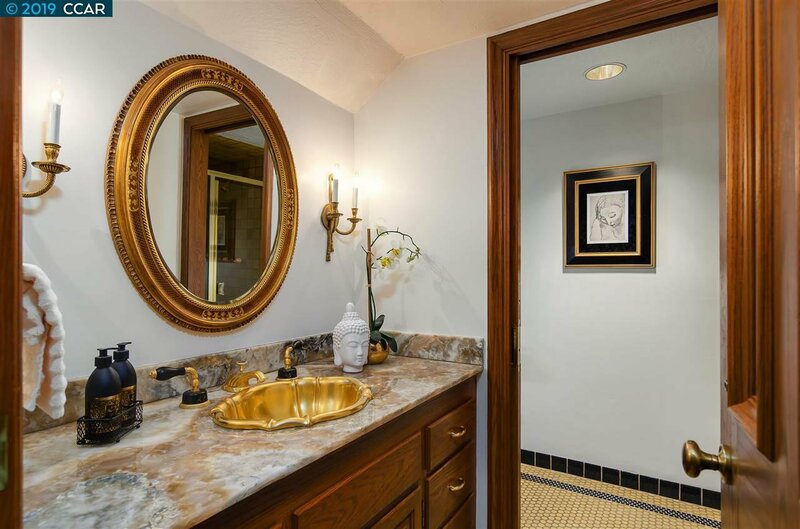 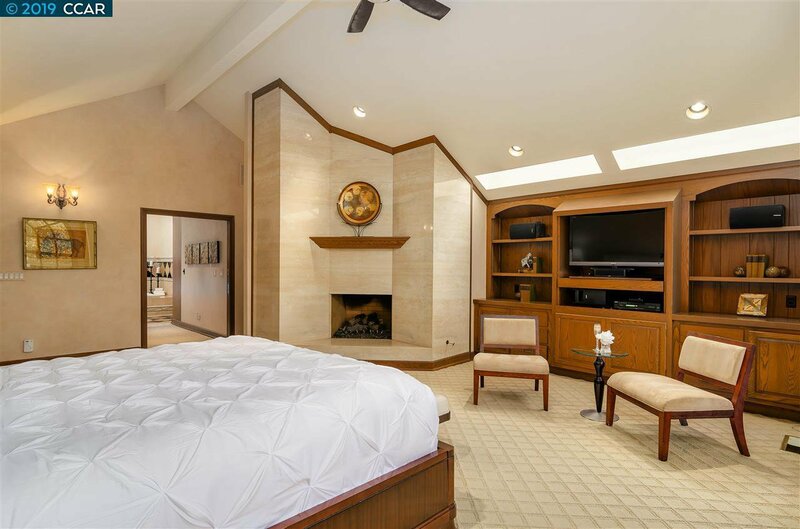 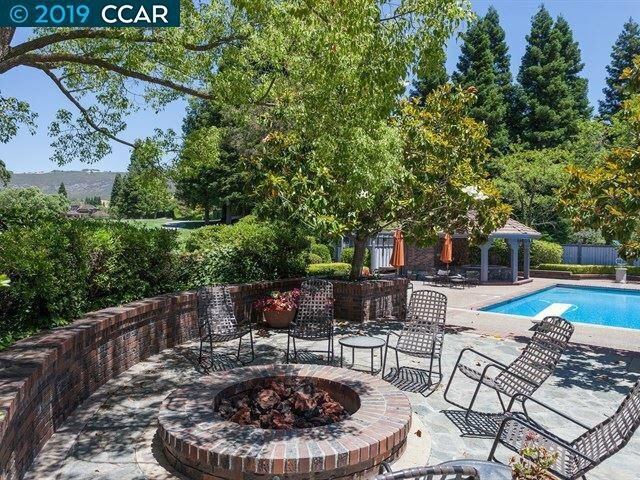 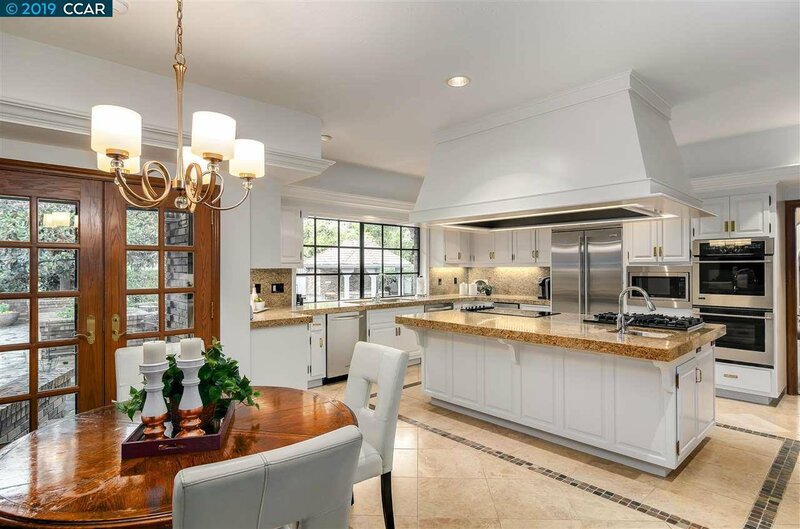 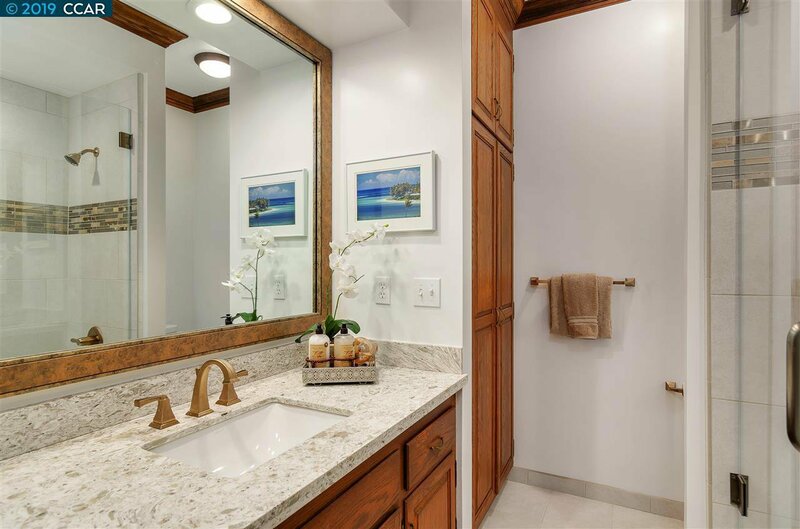 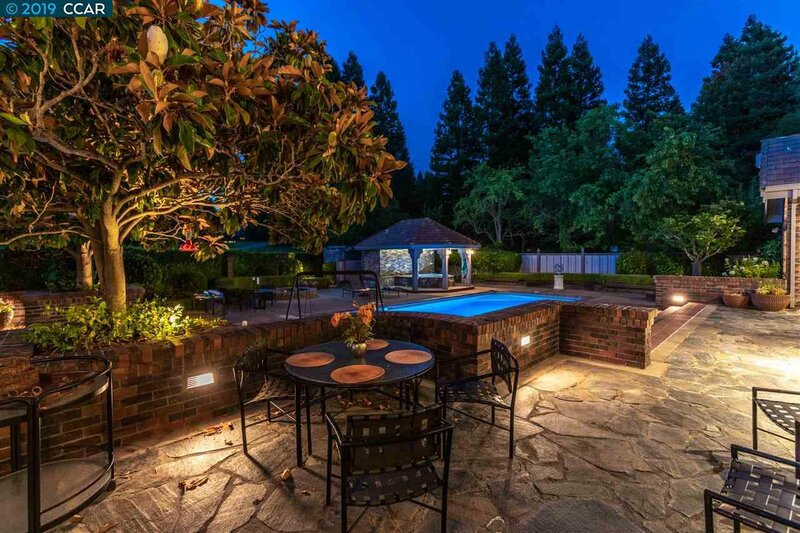 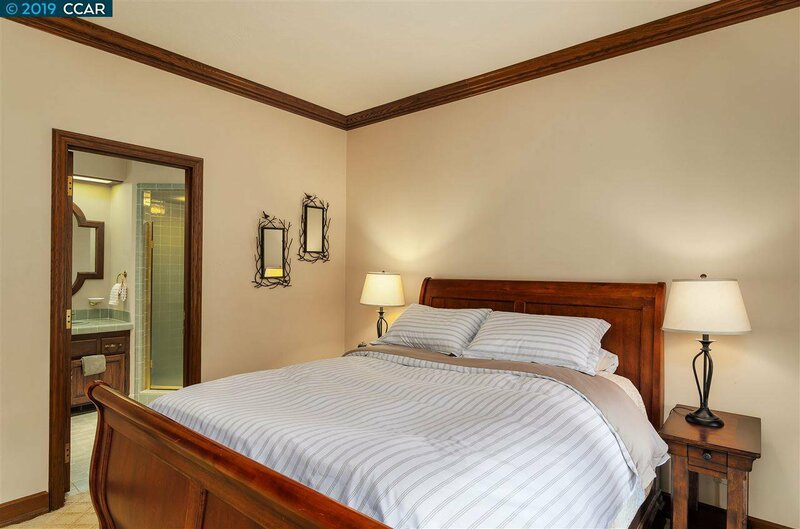 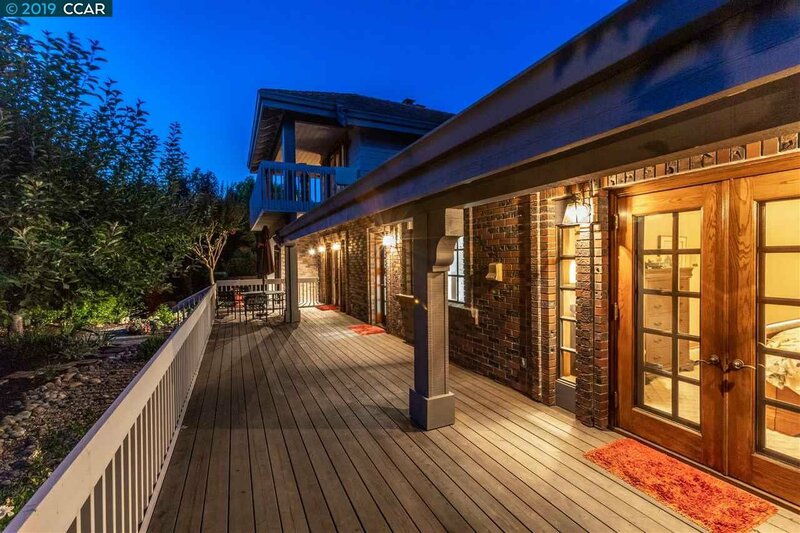 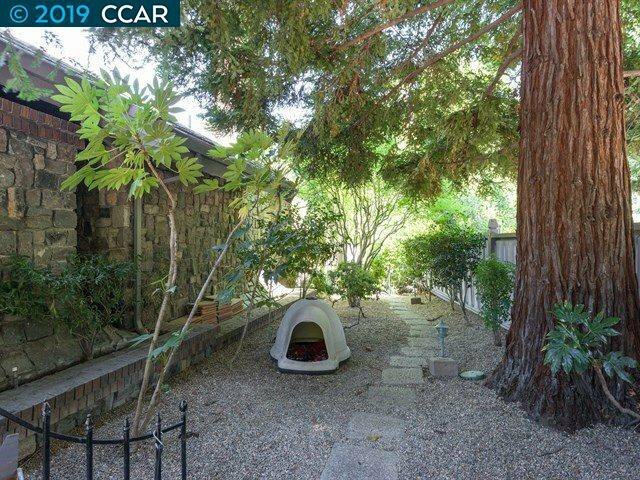 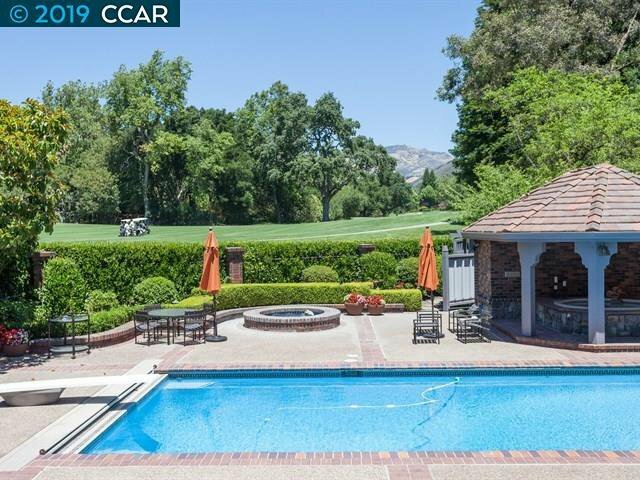 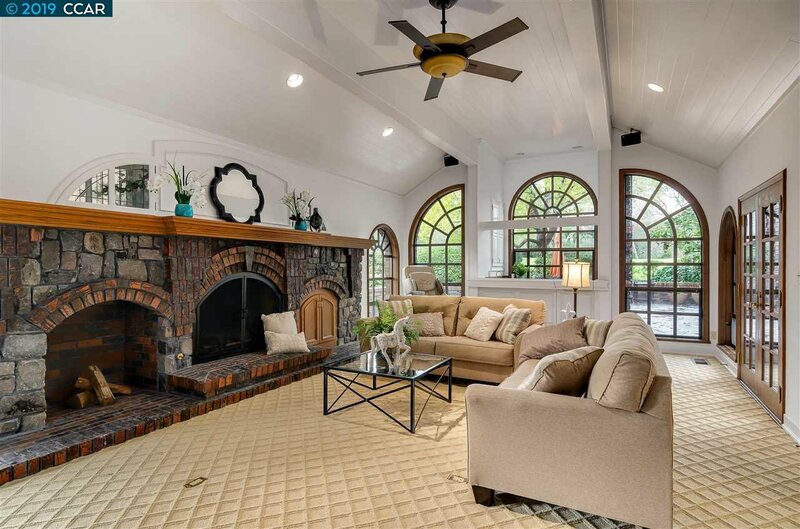 Almost half-acre, cul de sac location, 5,341 +/- sf, 4 en suite bds, 6 bths with 1,600-sf master suite, private gym, fireplace, two decks, spa-inspired bath, cedar-lined and attic closets. 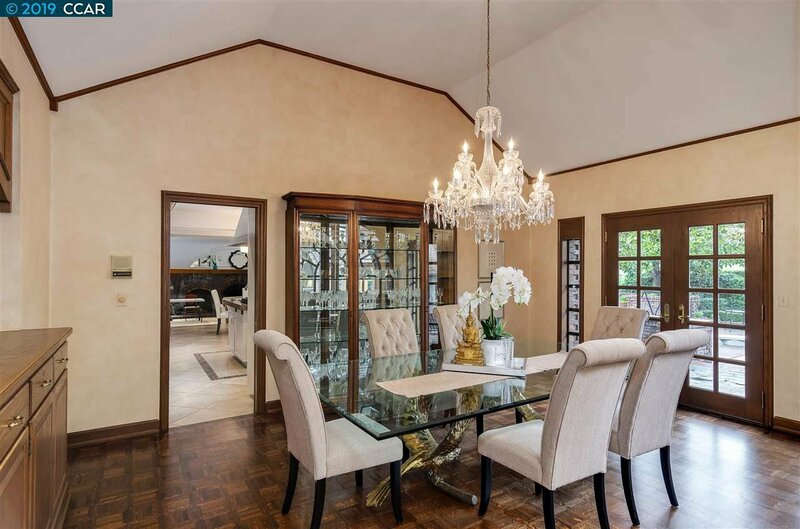 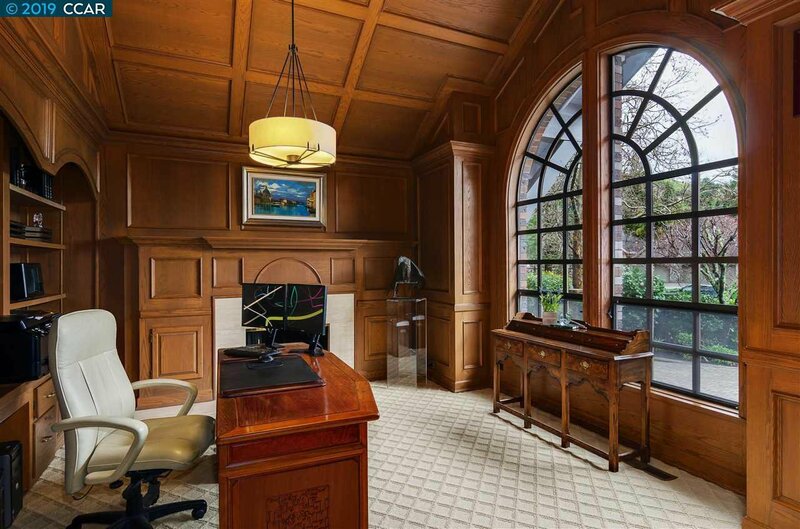 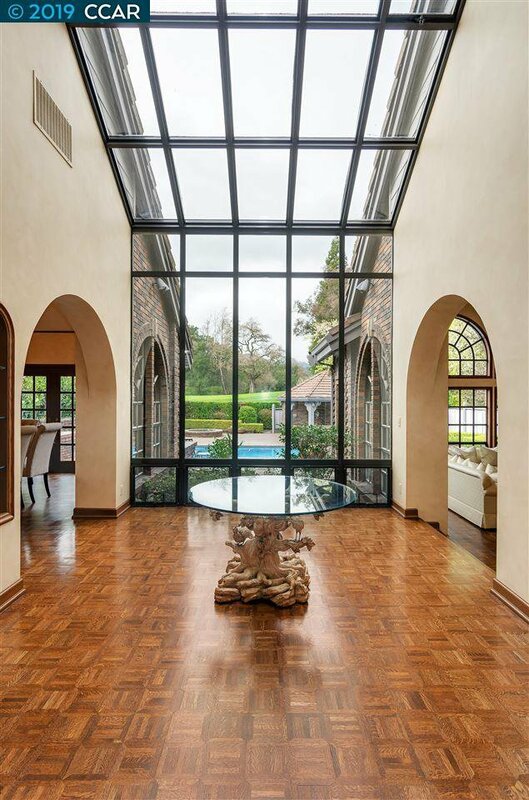 Fabulous atrium foyer, elegant paneled library, stunning formal rooms, chef’s kitchen featuring Miele, Viking, SubZero appliances, family room with tongue and groove curved wood ceiling, walk-around wet bar. 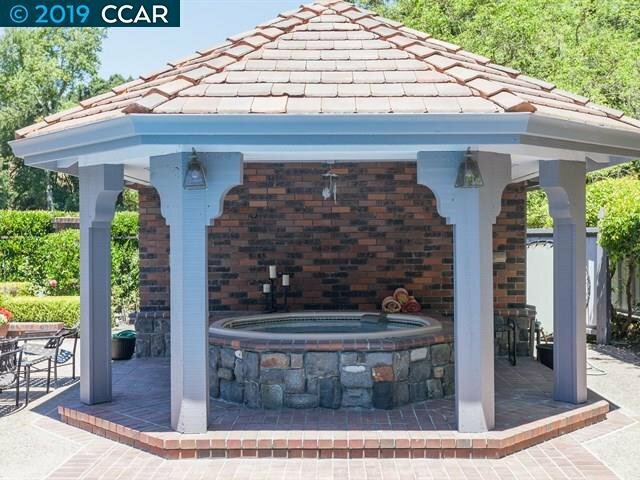 Entertainer’s dream backyard, flagstone patios, lush gardens, clear redwood deck, pool, gazebo with spa, cabana, multiple dining venues, outdoor full bath. 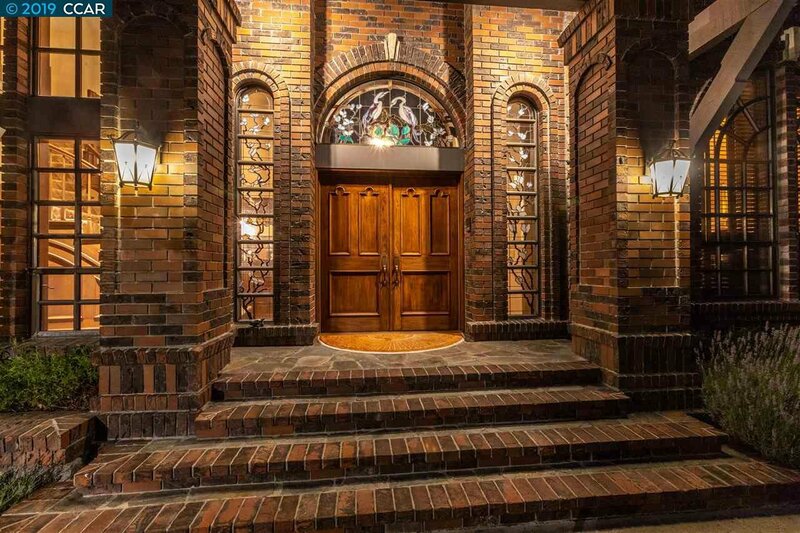 Cobblestone courtyard, grand double door entry, hardwood floors, soaring palladium windows, vaulted, exposed, and box beam ceilings, sweeping staircase, 300+ bottle wine cellar, 4-car garage with extra tall bay. 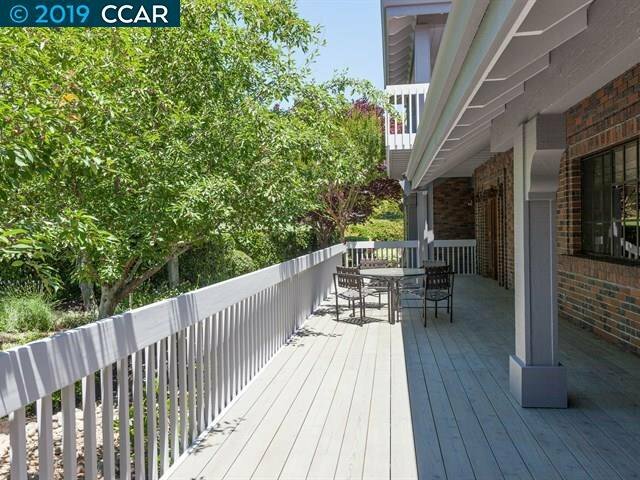 Near West Gate entrance, Blackhawk Plaza shopping and fine dining, freeway access, top-rated SRVUSD schools.